"The secret to starting and running your own balloon decorating business is here – and within your reach, right now!" We all want to be our own bosses and start our own business; even if you don’t want to admit it, it’s got to have crossed your mind at least once or twice – “What would it be like if I could start my own business and be successful?” It might feel like just a distant hope, or even a far-fetched dream right now, but you’re mistaken! This amazing course provides everything you need to start a balloon business and become your own boss, right from the comfort of your home. Cool right? Having started a balloon decorating business myself, I know just what’s required to break into this field, as well as what to do to stay afloat. I’ve put my findings together, condensed them and made it available for you in this remarkable course. What's not to love? After placing your order, you’ll be directed to a sign-up form, where you enter your name and email address. You’ll receive the 7 course lessons per email, two per week; which means that within a month you’ll be able to finish this course. You’ll figure out if the balloon decorating business is the right fit for you. This course will help you to properly decipher if there’s a big enough market for balloon decorating services in your area to sustain your company. You get to plan for your legal and tax obligations in advance, so there’s no risk of any unpleasant surprises from the tax office later. You'll discover powerful, state-of-the-art marketing strategies, including social media marketing and pay-per-click advertising. For this knowledge alone, you’d pay hundreds of dollars elsewhere! 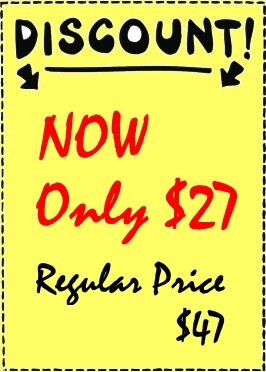 You'll know what tools & materials are essential and where to get them at the best price. Doesn’t that sound cool? That’s because it is. Think about it, you have the opportunity right now to own your own balloon business, and start making and managing your own money. The success of your business will depend on you – you’ll be in control of everything, and you won‘t have to rely on your employer. What Will You Learn From The Balloon Business Start eCourse? We've already helped tens of people to take control of their lives, just visit our testimonials page to read of all the positive impacts my course has had, as well as the positive way it has affected their lives. Don’t you want to be one of them? 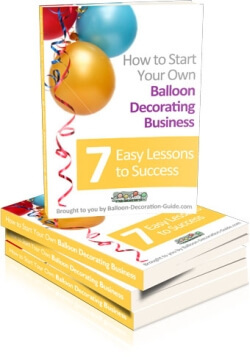 This eCourse is packed with everything you need to know to start on the path to owning your own balloon decorating business. What are you waiting for? It’s all in your hands – you have the power to take advantage of this amazing opportunity, right here, right now. Sign up today. It’ll be the best investment you make in a long time! Sign up for the eCourse absolutely risk-free. If it isn't up to your standards, for any reason, at any time, just send me an email. I'll refund you immediately. That's more than a guarantee. It's a personal promise!